Happy Tuesday! 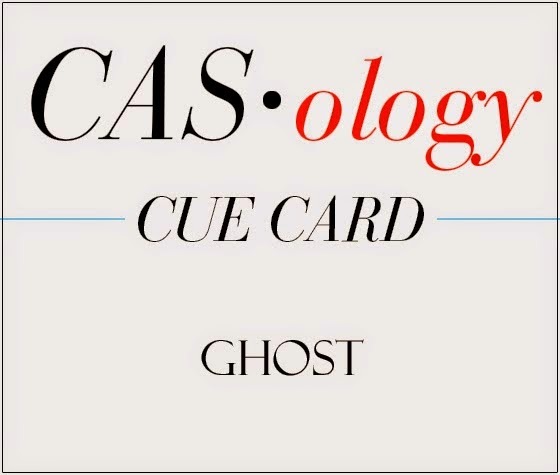 It's time for another CASology challenge and this week, our cue word is GHOST. Very fitting as Halloween is just around the corner. I realized that I do not have any ghost stamps, but fortunately I have a whole bunch of die cut ghosts and other scary stuff courtesy of my many stamping friends. Aren't these ghosts holding hands just the cutest things? I would SO give them candy if they came to my house to trick or treat. I made another ghost card before I made this one. I liked it, but thought maybe it was not CAS enough. 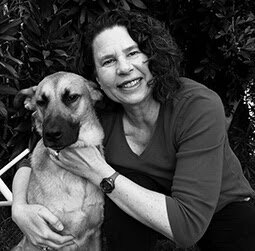 I am sharing it here today in the hopes that it still may inspire someone. I do not know why this ghost is saying 'boo'--he is really quite friendly. Now, it is your turn. What do you think of when you see the word GHOST? Have some fun with the cue word GHOST, and then please link up your creation on the CASology blog by Monday at noon (CST). Check out the beautiful designs from the CASology Design Team members and see how they were inspired by GHOST. Don't forget to keep your card Clean and Simple. Cute cards. I love the googly eyes popping out of the dark on the first one. Very cute - these remind me of Pac Man! I hear you on the not so CAS version you made. I do that a lot! 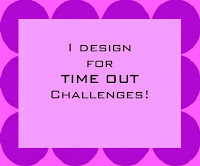 I love your take on the cue card this week! Fun, sweet, perfect! I love both: the not so CAS and the CAS... Yes they would get tons of candy from me holding hands like that. Spooky! Your ghosts are adorable! I love the unexpected color and google eyes! So FUN! These are both so darn cute Joyce!! your first one brought Pac Man to mind right away ~ HA!! These are so cute :) I like the eyes of these ghosts !! What fun Halloween cards! So cute,too! Adorable...love those fun little pastel ghosts holding hands. Two really cute cards, Joyce! I love how you placed the ghosts holding hands on your first card, and the googly eyes in the background is fabulous! Both cards are really inspiring...Thanks! These are both awesome. I love the funky clouds on the second one. And you're right about the first card - those pastel ghosties are too darn cute! I'm with Ardyth...these really do remind me of Pac Man!!! :) So cute! I don't know if I've ever seen oval shaped googly eyes before now?!! Great ghostly cards. I like the fun of the first card but that second ghost looks like he'd be fun to take to parties. Joyce, two great GHOST cards! I adore the pastel ghosts holding hands...they'd get extra candy if they came to my door! I love the second card, too...great spooky scene despite the big smile on that ghost's face! Both cute!